MAGNIFICENT bright penthouse in a VERY sought after area. 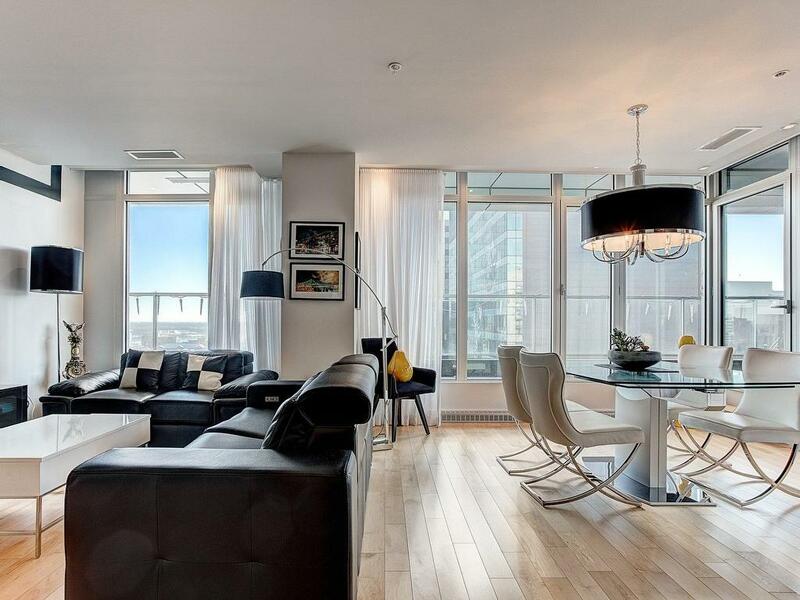 This urban style corner unit offers; Open area including living room, dining room and kitchen with quartz countertop. Master suite with walk-in closet and ensuite bathroom offering separate bath and shower. You can also enjoy the fireworks in the summer. On the roof... Urban chalet, gym, large common terrace, outdoor pool, stunning views of Montreal. Near Berri subway station, of the Grande Bibliothèque and the Quartier des Spectacles. POSSIBILITY ALSO to sell with some furniture.